According to the Guinness Book of Records, the fastest fish in the world is the sailfish species with the ability to clock a speed of 68 mph - just short of the cheetah at 70 mph. The species, measuring 1.7 to 3.4 meters and weighing between 120 to 220 lbs, is found in the warm tropical waters of the world. There exist two subspecies of the sailfish - the Atlantic sailfish (Istiophorus albicans) found in the Atlantic Ocean and the Indo-Pacific sailfish (Istiophorus platypterus) found in the Pacific and the Indian Ocean. With a spectacularly big dorsal fin, which gives it the name sailfish, considerably long bill and a crescent-shaped tail, the sailfish has a hydrodynamic streamlined body - which helps it clock amazing speeds and makes it the fastest species of fish in the world. There do exist reports about the sailfish species clocking a speed of 70 mph which brings them at par with the fastest land animal, though the authenticity of these reports is still under the scanner. 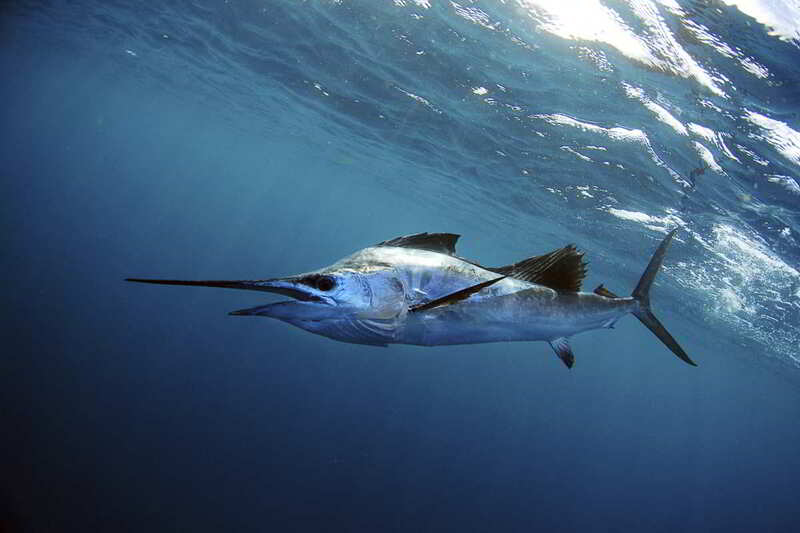 The second fastest fish in the world, the black marlin with an average speed of 50 mph belongs to the same billfish family. Our knowledge of the marine biome is limited due to some obvious reasons, and that makes it a bit difficult to figure out which the fastest marine species in the world are. In such circumstances, the chances of there being some marine creature that can be faster than the cheetah cannot be ruled out.